It brings with it so many wonderful things! Cooler temperatures. Harvest time. Hunting season. Beautiful colors. Brilliant moons. Shrimp and grits for Thanksgiving! Why have turkey when you can have shrimp? And for my family, November brings times of tradition. Spending time with family and friends. A bounty of blessings waiting to be seized when we stop and take the time, make the time, to keep special traditions and enjoy God’s blessings! For years we have visited my great-aunt and her family at their farm. These two girls, my daughter and niece, are now teenagers and still look forward to attending our family stew time. Hunting with the generations has been loved in our family for years. 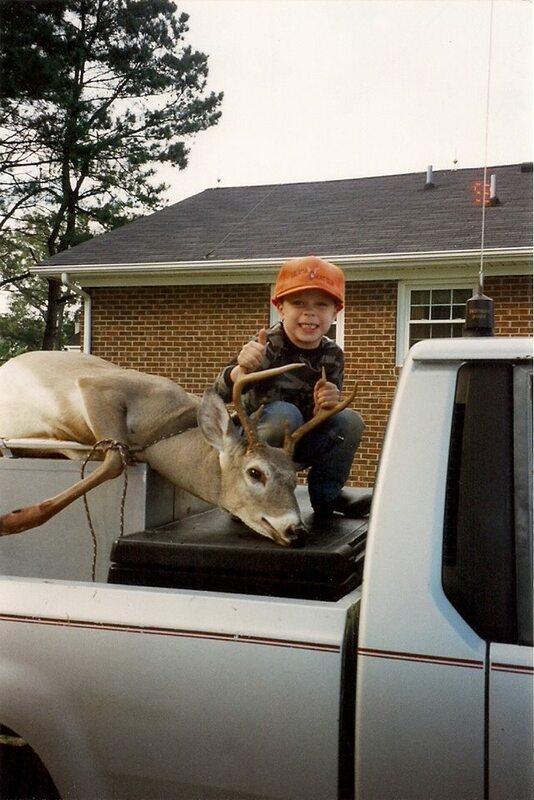 This little boy is now 18 and still hunting with his dad and grandfather. The phone buzzed and I looked down. A message from a sweet cousin whose mother taught me the importance of holding family near, including everyone and always making time for others. She taught me that by including me. You see my cousin’s mother was my Great-Aunt. But she treated me like a grand-daughter. Always including me in celebrations, special events, family gatherings. And she then included my husband, my children and now, even after her passing away, I and my family are included in special times and gatherings. Now back to that phone buzzing! The phone buzzed and I looked at it, wondering! How in the world did I miss that on my calendar? 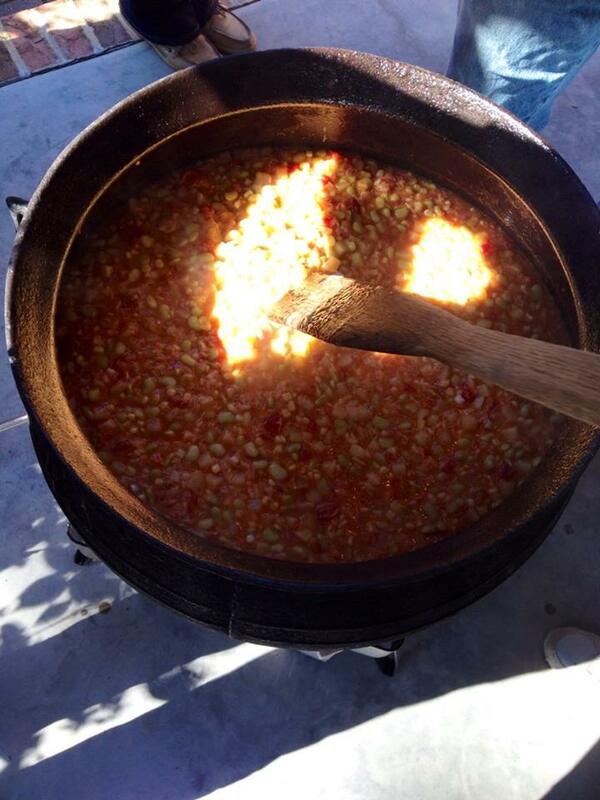 The family stew is two weekends away! Well, it wasn’t on my calendar, that is how it was overlooked! I’m scrambling. I am the one in charge of letting my side of the family know when to attend! YIKES! Quickly I make room in the calendar and started calling. And since my children were little the family stew time has been special. The early morning potato peeling. The fire being poked. The pot being stirred. The children running and playing. The family visiting. The smell. The taste. The blessings. I’m still not old enough to stir the pot! But I do get to cook cornbread and this year I was even a taster! Yummy! November. It can be many things. For me and my family it is a time of making time for others. Making time for family, friends, old and new. A timely photo sent by Maggie Russell. 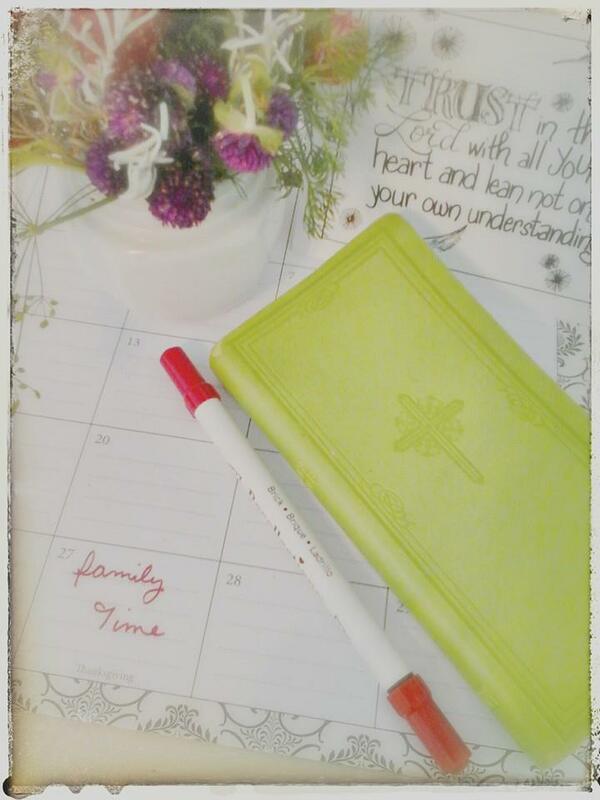 A great reminder to make scheduled time for family. November. Your November may not look like mine. There may not be family. There may not be friends. There may be loneliness, emptiness, grief. But friends, there are blessings. Because there is One that came to be your family. There is One that takes the solitary and places them into family. His name is Jesus. Read that again. And again. You are not alone. You are family to Christ. You are free in Him. There is joy freely given! Surrender friend. Give thanks to the One who has all the time for you! That is His blessing to you! Remember the One who is turning the leaves bright orange this November. That is His tradition; his gift to you! Observe the One who is lighting the moon, bright and amazing, in the night sky. That is His love shining bright for you! Accept the One who adopts you into His family be accepting His son, Jesus. That is His priceless treasure to you! Make time to treasure Him back. Make time to be grateful, to sing praise! Allow me to leave you with this sweet photo and words from a special friend, Jana Kennedy-Spicer with Sweet To The Soul. “To be grateful is to recognize the love of God in everything He has given us — and He has given us everything. Every breath we draw is a gift of His love.” — with Gwen Penner. And friends, because you are His family and I am His family…we are family! Hey, Forever FF Girl…Pop On Over! There’s a party…on my head! The ‘Family Stew’ looks like a lovely tradition! And you’re right–God gives us family wherever we are–he always supplies our needs. I’ll be sure to keep an eye out for lonely people who need family during this season. Thank you for the reminder that family doesn’t just include people related by blood. Anita- Your heart is right where God would want it…looking for ways to share His love with others! For when we do for the others we do for Him! Have a beautiful Thanksgiving season and thank you for coming over to spend time. You are a blessing to our heart! Oh, Jodie I loved this! Family is indeed a gift…a tremendous gift but we dare forget the one who never leaves us and will never dissapoint us. He is indeed THE gift. Thank you for sharing Jodie! November is my favorite month and Thanksgiving is my favorite holiday because we are so abundantly blessed and have so much to be thankful for! Heather, Thank you for coming by and sharing. Your sight Overflowing Cup is lovely! And touches my heart as the word overflowing is special to me. God richly fills us to overflowing when we seek Him in all that we do and all that we area!